This Americase Premium Series case is designed for a takedown O/U or SxS. 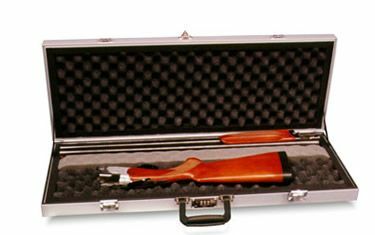 This case is filled with egg crate foam to gently protect your gun. There is an area for a barrel fore-end on and a place for the stock. As with all Premium Series cases this one comes with two high quality key-lockable latches, and a combination lock that meets airport security guidelines. Outside Dimension: 32-1/2" x 12" x 3-1/2"
Inside Dimension: 31-3/4" x 11-1/4" x 3"